Melissa joins me this week—Yay! This week’s episode is a story of three after-death communications that our listener, Bradley, received from his son, Justin. Bradley shares some extraordinary signs Justin sent from the spirit world, including an absolutely amazing sign involving a FedEx delivery guy. 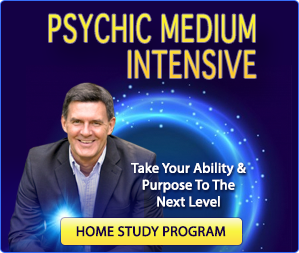 Melissa and I discuss the significance of these after-death communications and talk about signs from spirit that are the easiest for spirits to send. In addition, Melissa shares a recent experience she had related to a life-between-lives regression and an Adele song! 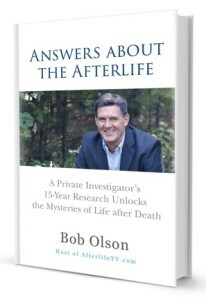 I also read an excerpt from my book, Answers of the Afterlife, regarding “The Best Way To Talk To Your Loved Ones Who Have Passed.” There’s so much here, you don’t want to miss this episode! 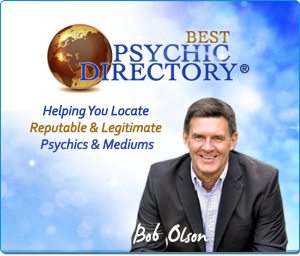 Thanks to our sponsor, Best Psychic Directory! 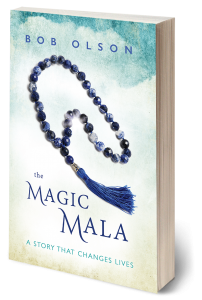 The Magic Mala Audiobook is now available! 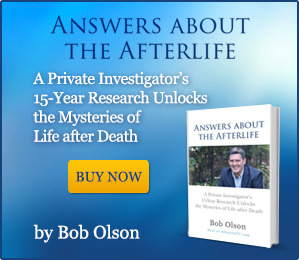 AFTERLIFE TV NEWSLETTER – Join and get notified of new episodes! Great podcast —– amazing stories and great commentary! I have tried to ‘share’ my experiences and found by doing so ‘some’ become more ‘awake and aware’. I also encourage meditation and listening to music which has helped me. ‘Spiritual experiences are so ‘amazing’, even with minor things.. I try to keep a journal of my experiences and review them when I need a quick ‘pick me up’! It’s interesting how just reading about my experiences calls up that memory vividly. .
You are doing some amazing spiritual practices. It takes great discipline to do all you’re doing. Your personal and spiritual growth must be incredible. Glad you liked the show. Compassion for Bradley & his wife. Now truly believe they WILL be reunited. 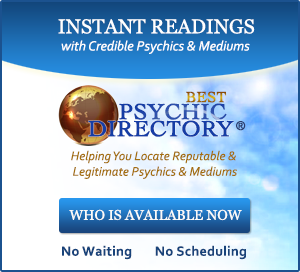 Saw a psychic medium about my brother’s suicide. Helped me release my guilt. She also told me my departed best friend had just caught an earlier train & I would see her again one day. I talk to Judy out loud from time to time. After she passed, I kept hearing Adele’s “Hello from the other side” when I would enter a store she & I had shopped at. I do not play music at home unless I sit & deliberately listen to it. With my brain injury, Judy was trying to teach me about using Facebook, when she left her body. Well, I got a message from her AFTER she died. I screamed for my husband & was sobbing, when it hit me… she was saying hello & I instantly stopped sobbing. I again got another Facebook message from her. 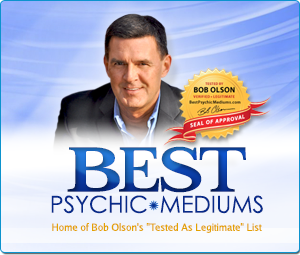 She knew I was into your website, Bob, & looking for spiritual answers. Screenplay – fun! Podcasts- get so excited! Melissa’s regression – please do share some of it! Cheers. You’re a special woman. My compassion to you for the passing of your brother and best friend. How amazing that you, too, hear that song by Adele. Judy is obviously a strong communicator from the other side. And you are quite consciously aware of all you are experiencing. Thanks for writing and for your kind feedback. Keep smiling. I will post for Bradley to see. Wonderful podcast! Thanks for sharing. I have been alone all my adult life but since retiring very lonely. Its so nice to learn loneliness is something you need to do and its not a bad thing. I have always been interested in the afterlife but have had no experiences but once a dream with my Dad after he had passed for some time but that could have been me projecting it .Not sure. Anyhow this was wonderful to listen to and calming..Thanks again. I’m glad it spoke to you. I really doubt your dream was just you projecting, likely a dream visitation from your dad. If it was quite vivid and felt real, it probably was. Thanks for writing! TEARS AS i LISTEN TO THIS WHOLE THING, i JUST COULD NOT PAUSE IT, SO i WENT STRAIGHT THRU. iT WAS SOOOO FASNATING. i HAVE ALLWAYS WANTED TO DO THIS BUT i DONT HAVE THE MONEY TO AFFORD IT, i KNOW THAT IT WOULD HELP EXPLAIN WHY i AM THE WAY i AM IN THIS LIFE TIME. Thank you so much for sharing this!!! You’re very welcome! I would say that you’re the way you are because you’re perfect just the way you are. The Alchemist I have read several times. The Celestine Prophecy started it for years ago and I have read it and watched the movie several times. The Way of the Peaceful Warrior I have watched the movie several times. These are all special to me and I have searched trying to find something in that same vein. When I saw your post on Face Book it just reached out and grabbed me. I will read it as soon as I can purchase it and undoubtedly read it several times. Thank you. Hope it speaks to you the way those other books did. I know it has for thousands of people. Thanks for writing! Pertaining to signs, over the years I have been awakened by either a phone ringing, a knock at the door, or a doorbell ring. Recently, my daughter and I moved into a new place. I was awakened at 3:12 a.m. on one of our first few nights there by a doorbell ring. I said ok I am awake, tell me what you need me to know otherwise I am going back to sleep. Didn’t receive a message so returned to sleep. I checked the next morning, we do not have a doorbell. I have no clue who it is or the message.